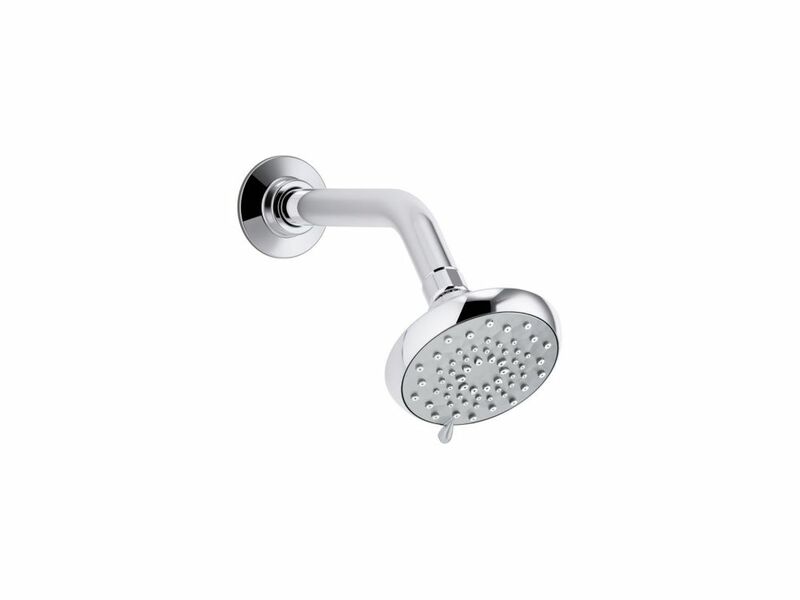 Awaken B-Series showerhead features a transitional design inspired by nature. Awaken 3-Spray Showerhead In Polished Chrome The Awaken showerhead brings KOHLER quality, design, and performance to your bath. Advanced spray performance delivers three distinct sprays - wide coverage, intense drenching, or targeted - while an ergonomically designed thumb tab smoothly transitions between sprays with a quick touch. The artfully sculpted sprayface takes its inspiration from the purposeful patterns found in nature, complementing a wide range of bathroom styles.